The Camp Recovery Center is a treatment center that provides a unique camp experience as part of treatment to teens and adults. The center has been offering excellence in service for the past 30 years where thousands of individuals and families are able to reclaim their lives each year. Individuals struggling with substance abuse, alcoholism, and behavioral health disorders are treated at the center. The center’s motto is: “Recovery means Life”. The mission at The Camp Recovery Center is to successfully heal individuals to achieve recovery which will help them in not only regaining their lives but also to appreciate and enjoy life on a daily basis. Each client is treated with compassion and respect while treating them physically, mentally, emotionally, and spiritually. Comprehensive treatment approaches are utilized which include intensive family involvement three days a week which aids the recovery process. The center offers inpatient and outpatient treatment services in the Adult Programming and Adolescent Programming. Through clinically-proven therapies and holistic treatment approaches which include yoga and acupuncture, clients are enabled to win the fight against addiction. They become emotionally, mentally, and physically strong individuals who are able to adopt a healthier lifestyle in a drug-free and sober life. 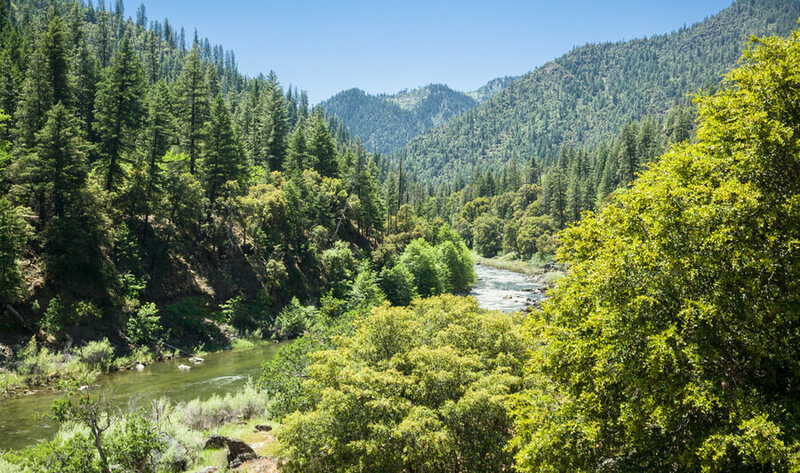 The Camp Recovery Center is located on 25 acres of beautiful land in the Santa Cruz Mountains. The campus is nestled between redwood trees and provides a peaceful and serene atmosphere to clients and families to begin their healing journey. The beautiful landscapes and trees provide a tranquil and serene environment that is conducive to healing. The campus is comprised of separate wood huts that serve for accommodation and treatment programs. Clients stay in semi-private rooms shared between two patients. Each room is furnished with twin beds or bunk beds, desk, chairs, and storage space for clients. A bathroom is attached with every room which both of its residents share. All basic amenities such as bed linen, pillows, and towels are provided by the center. The center also comprises common rooms, meeting rooms, and several outdoor areas. Clients can participate in various indoor and outdoor recreational activities such as basketball, volleyball, yoga, meditation, strolls and walks in pristine forests. Meals are prepared by the on-site kitchen staff and served in the dining area three times a day. Special consideration is made in preparation of meals so that they are nutritious and healthy. Special dietary needs of clients are also accommodated. The Camp Recovery Center has over 30 years of experience in providing high-quality and comprehensive treatment services for alcohol and substance abuse. The center also specializes in treating mental health and co-occurring disorders such as depression, anxiety, bipolar disorder, PTSD, and other psychiatric issues. The center has helped thousands of individuals achieve long-lasting sobriety through its clinically-proven therapies and holistic approaches to treatment. The trained and experienced staff provides a complete continuum of care through which the mind, body, and spirit of each client are healed. The refreshing location of the campus offers a unique experience to clients in which they can focus solely on their treatment without any distractions or worries. Clients are empowered through addiction education and life skills management which helps them become self-confident individuals. Clients are able to recognize their skills and potential to become productive individuals of society. Pamela has an MA in Clinical Psychology. She is a Licensed MFT. Before joining the Camp Recovery Center in 2015, she served at various clinical services organizations. She has extensive experience in working with individuals struggling with Addiction, Mental Health Process Addictions, and Trauma. Jessica holds a certification as a Counselor II through CCAPP. She has over 10 years of experience working in the substance abuse and behavioral healthcare industry. She has initial and advanced intensive training in Motivational Interviewing. She is also a member of the Motivational Interviewing Network of Trainers (MINT). She has also been successful in implementing the perinatal SAMHSA grant. Tiffiny has a BA degree in Business and a Master’s degree in Business with an emphasis on Healthcare Management. She is a Licensed Registered Nurse who holds a certification in addiction recovery nursing. Before joining the Camp Recovery Center in 2008, she served as a detox RN at the Beacon House and as a KI aide at Pacific Elementary School. As Nursing Director, she oversees the detoxification protocols of the nursing teams.